Out and About is a breezy lakeside cottage. 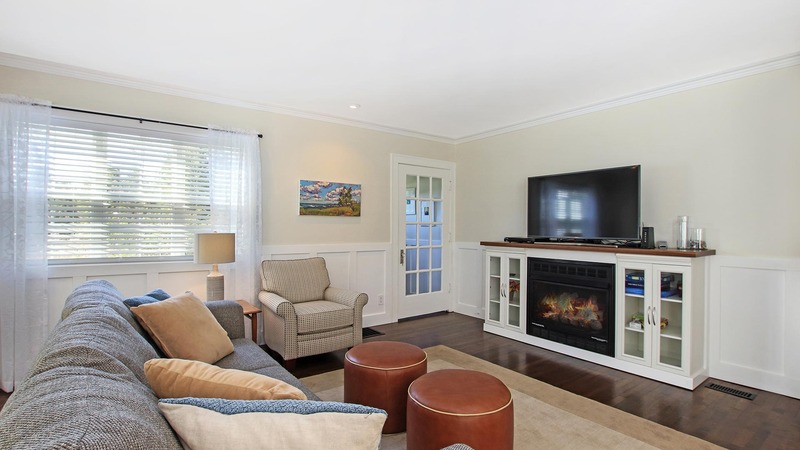 The bright living area features a gas fireplace and TV. An open floor plan lends to a spacious feeling. 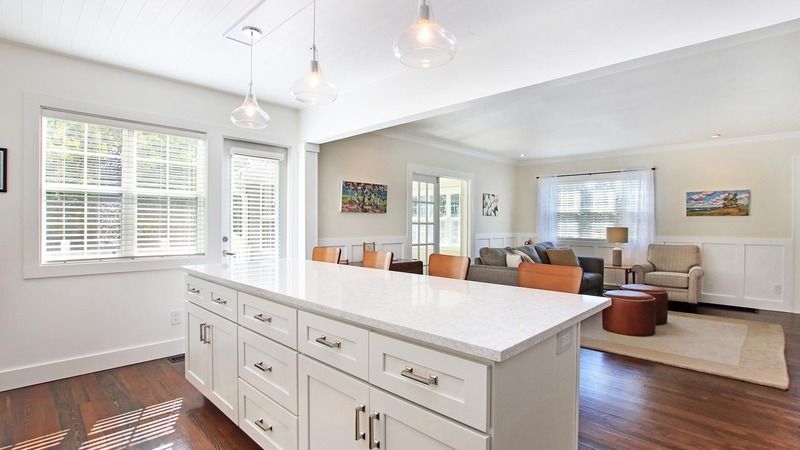 The kitchen island/breakfast bar offers four stools. 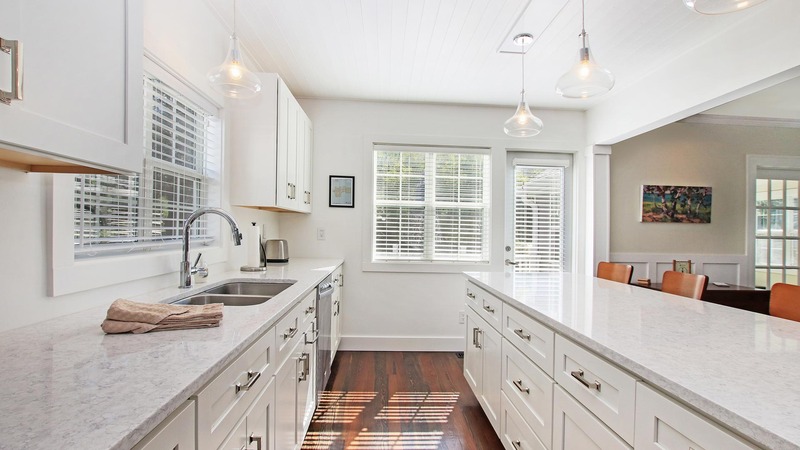 The bright kitchen features updated stainless steel appliances. Modern style elements accent the home's bright rooms. A four seasons room connects with the living area. Enjoy of the surrounding nature while you read a book. 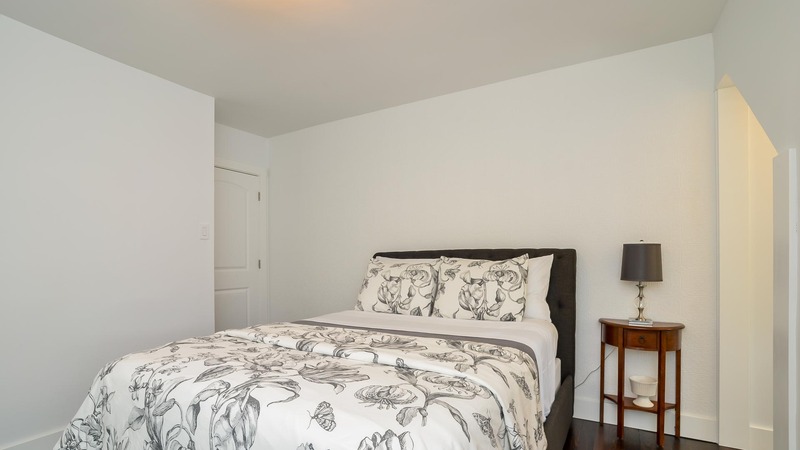 This bedroom offers a queen bed as well. The queen bed in the second bedroom. 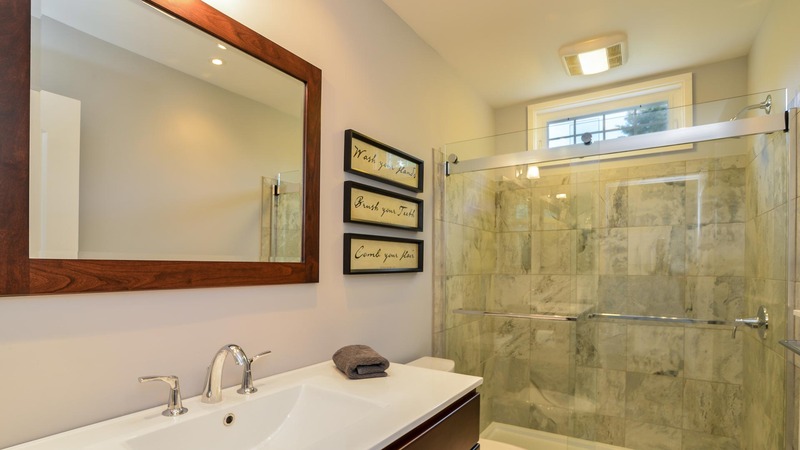 The shared bathroom offers a stand-in shower. The breezeway connects the home with the garage. Access the back porch from this spot. Dine on the back patio. Grill out on the gas grill. Access the front balcony via the kitchen. The nature preserve with trail to beach is just down the road. The scenic trail guides you on a 10 minute hike to the lake. This park is a great place to walk your dog. Your dog can enjoy this gorgeous beach as well. Soak up the sun and the Lake Michigan views. Another path takes you to a scenic overlook with seating. 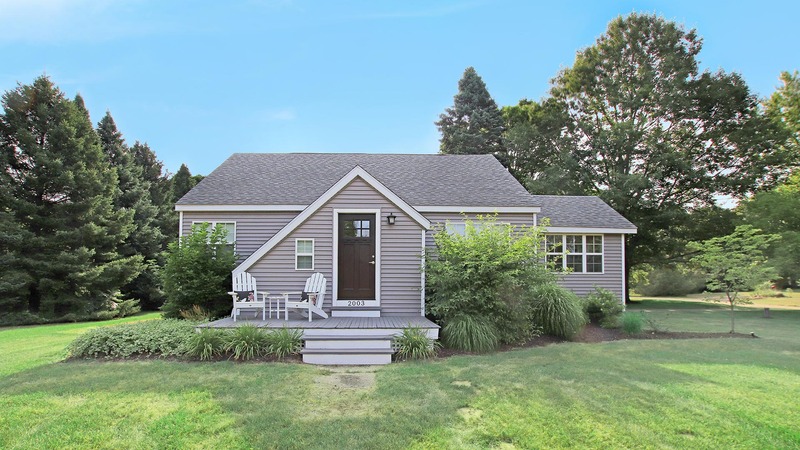 Out and About is an airy, updated cottage near Lake Michigan beach access. 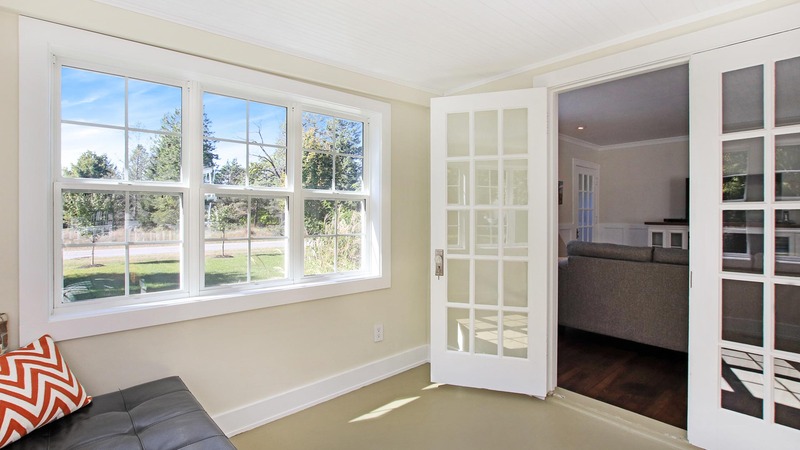 Its quaint exteriors appear petite but give way to an open and spacious home that's perfect for a lakeshore vacation. 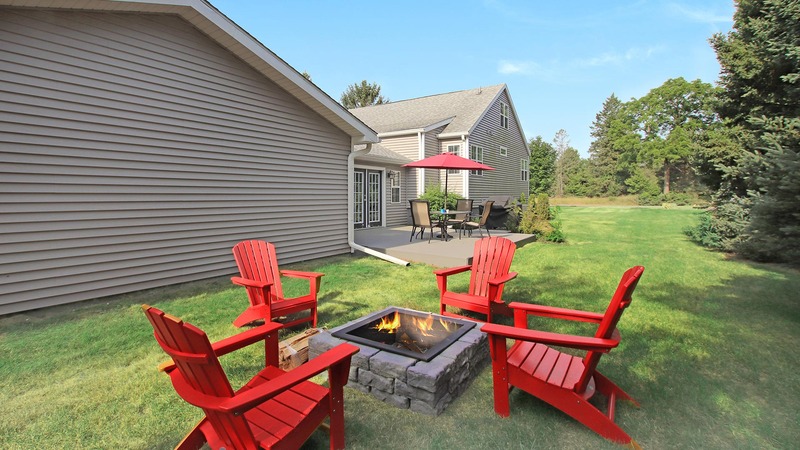 And outdoors enthusiasts will enjoy the pristine nature preserve just a short walk from the home's doors. 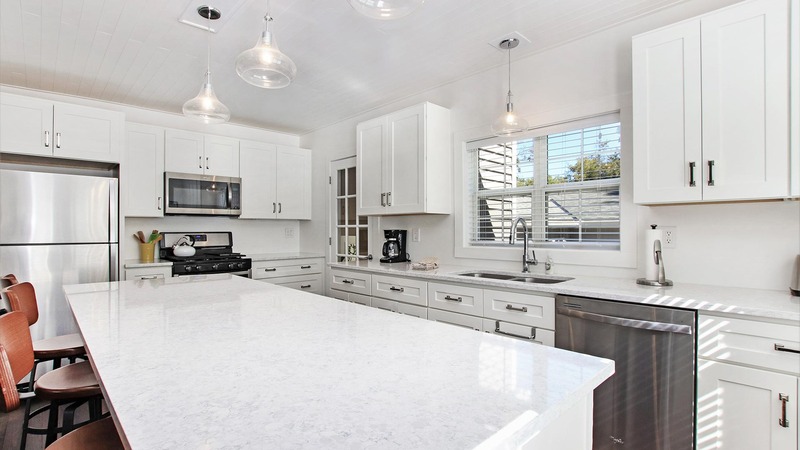 The home is freshly remodeled and its decor has a modern, sophisticated, and bright feel throughout. Enter via the breezeway into the kitchen, which features updated stainless steel appliances, stylish light fixtures, and gorgeous quartz countertops. Relax in the living room by the warmth of the gas fireplace and watch a movie on the flat screen TV. The four seasons sunroom is a bright and cozy spot to enjoy morning coffee or read a book. If a dose of fresh air is in order, consider eating out on the sunny balcony off of the kitchen. Spend evenings on the back patio overlooking the grassy backyard--a feature of this dog-friendly home your pup will appreciate. 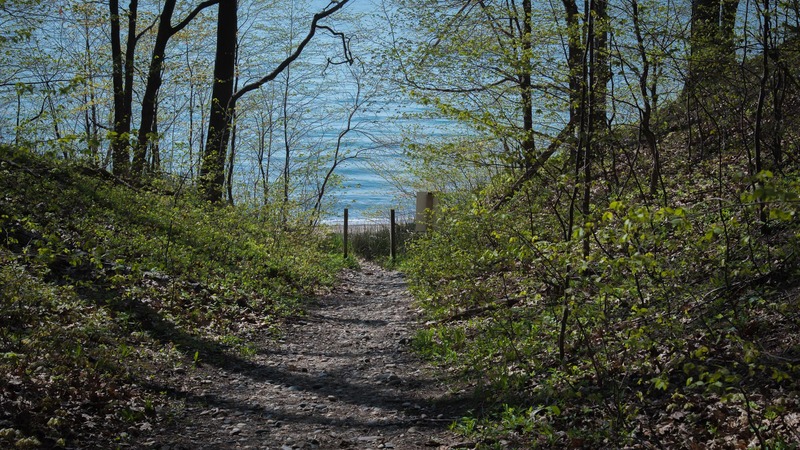 Take a scenic hike through the nearby Wau-Ke-Nau, William Erby Smith Nature Preserve to reach a gorgeous, dog-friendly Lake Michigan beach. 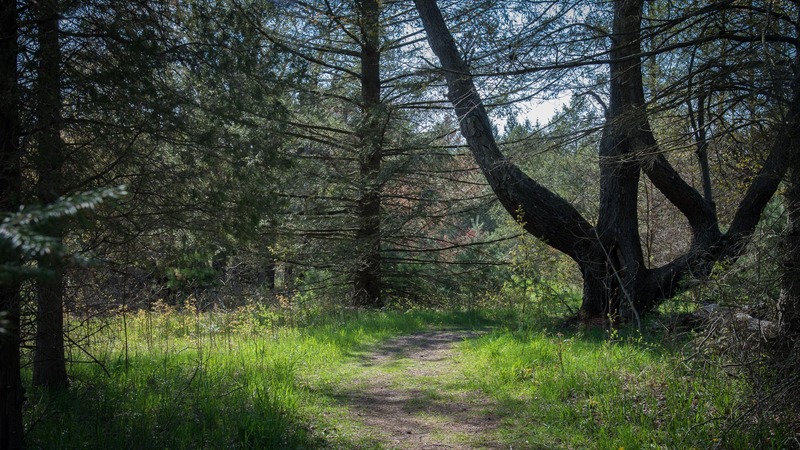 The preserve offers a forested walking trail that will take you to the beach within a 10-minute hike. Choose to meander down the short path with no stairs to the beach, or walk to the overlook to find a bench--a stunning spot to catch the sunset with a glass of wine. It's also a great park to walk with your dog, should you choose to bring Fido along on your vacation.